Another Michelin starred restaurant is here in Singapore! This time is none other than the famous Kam’s goose in HK. If you tried the ones in HK, you will know the quality of the goose is awesome. Sadly, they are replacing goose with duck due to AVA regulation. Despite that change, Mr Kam Kinsen Kwan Sing (The son of founder Kam Shui Fai) has assured that the taste of the duck will be 95% similar to the taste of the goose in HK. If you are going there, take a look at the wall paintings as thats the family of Kam’s. 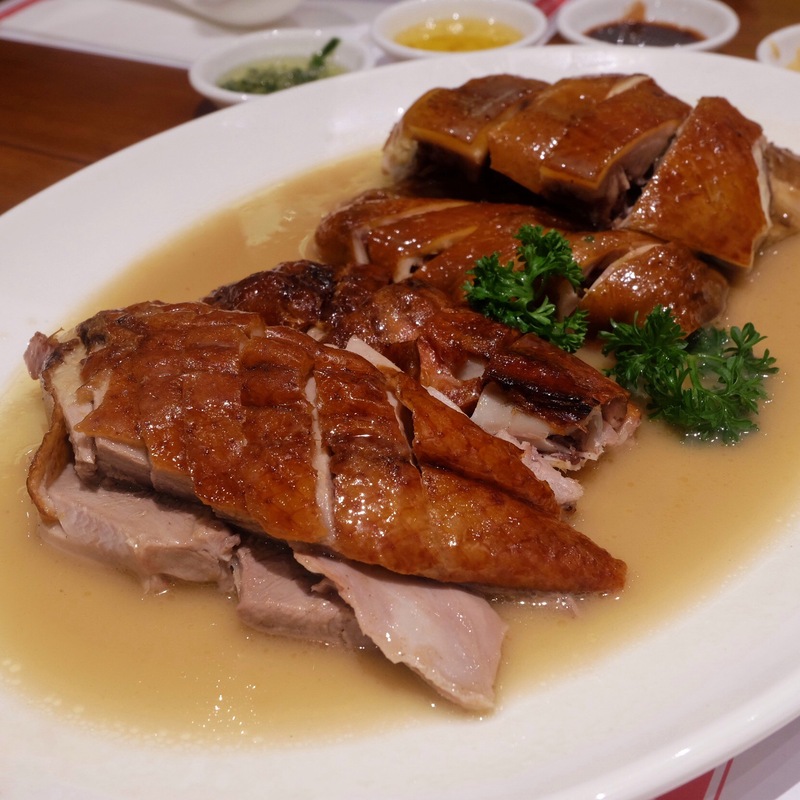 Roasted Duck/Soya Chicken [$11.80/Portion] The duck and Soya chicken can be served with rice/noodle. Do take note that the noodles has a slight taste of Ki (Alkaline) which not everyone would like. Its just a mild one compared to other HK eatery places. The highlight of this dish is actually the gravy, super tasty that I can just eat with rice. 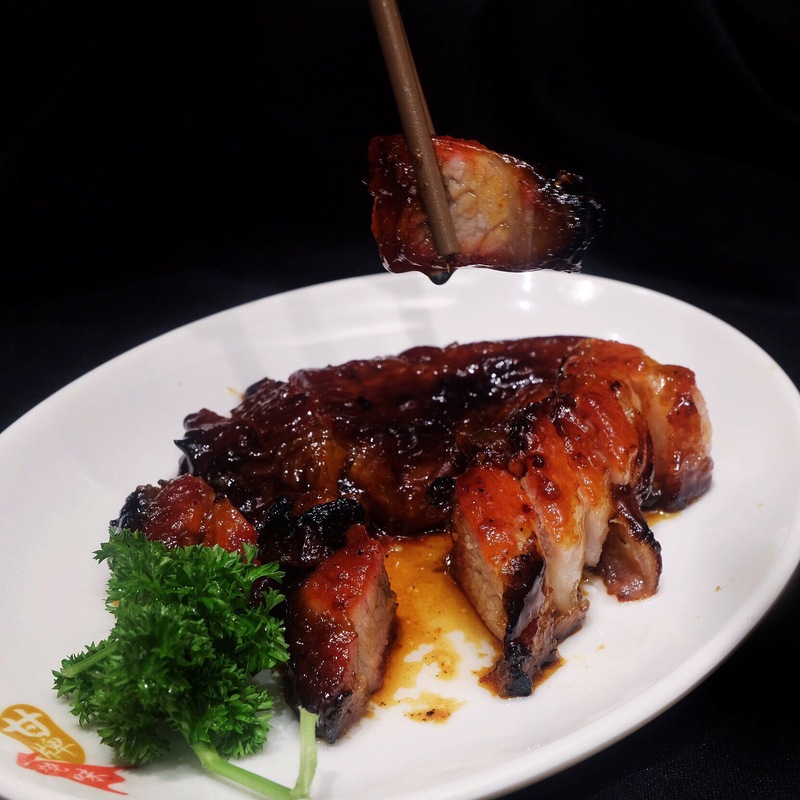 Toro Char Siew[$22.80] Must Try! BBQ Pork Char Siew [$14.80] What impressed me the most is their char siew and roasted pork instead of the duck. Very juicy premium charred Toro char siew that literally melts in your mouth! I strongly recommend this dish but if you are not into fatty mean, you can opt for the lean ones!